What Kinds of Problems Come with High Humidity? High humidity is generally defined as relative humidity levels higher than around 50% or so. At that level, there’s too much ambient moisture in the air to allow the sweat to evaporate off of your skin (which is our body’s natural way of cooling off). The air thus feels hotter than it normally would, forcing your AC to work harder than it should to keep the air cool. Furthermore, high humidity levels can contribute to the growth of mold and bacteria in your home, as well as damaging wallpaper and other furnishings. This comes on top of the stagnant, unpleasant atmosphere your home experiences whenever the humidity rises too high. Why Can’t Air Conditioners Handle It? The best way to reduce humidity levels is to lower the temperature of the air, which air conditioners can do. The moisture vapors in the air shift from gaseous to liquid form when the temperature goes down, which is why you get dew on the ground in the early hours of the morning. The problem is that air conditioners aren’t set up to handle high humidity levels. They reduce relative humidity very crudely, without allowing you to decide what level is most appropriate. Dehumidifiers do the same basic job as air conditioners, but with a few key differences. They don’t need to release heated air from the system the way air conditioners do. They also allow more precise control of the humidity levels in your home, allowing you to set those levels to taste instead of just relying on whatever the air conditioner can manage. Finally, they’re better equipped to remove the condensate from the system, so there’s no threat of overflow and shutdown. 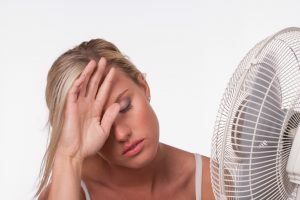 As a result, your home is not only more comfortable and less prone to the problems associated with high humidity, but the air conditioner is under less strain and can do its job without costing you quite so much in monthly bills. For quality dehumidifier installation services in Avon, OH, call the trained pros at Westland Heating & Air Conditioning today!